My maternal great grandfather, James N. Andrews, was born in Coleraine, Ireland in 1819. He was one of 15 children! At the age of 15, he came to Canada with his family. He was a baker by trade. He lived in St. John, New Brunswick. On my paternal side of the “tree” I also have Irish ancestors… so this is a day to honour them. Have a lovely St. Patrick’s Day! Happy St. Patrick’s day to you, too Carol! And look at that great sunshine that is greeting us this day. 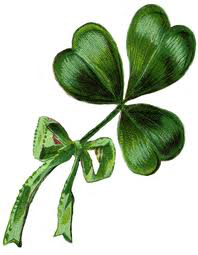 I not only married into an Irish family, but m maternal great grandfather was born in Ireland.. And, there’s Irish on my dad’s side as well… Parkes, Cohoon, Phalen! thanks for visiting, and your comment. I’ll pour the tea! Green tea today! Hi Norman! Green tea for St. Patrick’s Day. I hope you enjoyed it. Thanks for coming by and for your very welcome comment! Lovely presentation today, Norma….and my favourite prayer for good wishes. Hope your day is wonderful…. I hope your day is wonderful, too, Heather. I’ll pour the tea, an get some cookies.